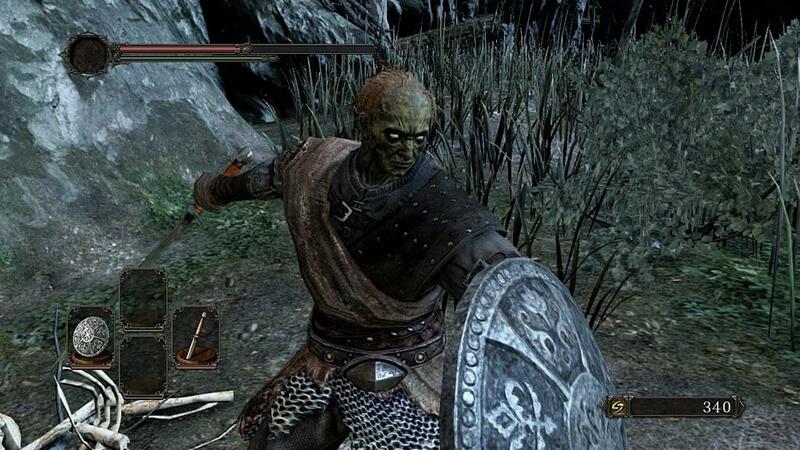 "It's an undead. An undead has come to play. Heh heh..."
Your chosen undead stands in a small hut in a dark forest. You wandered here after waking up in a meadow in a region known as Things Betwixt. 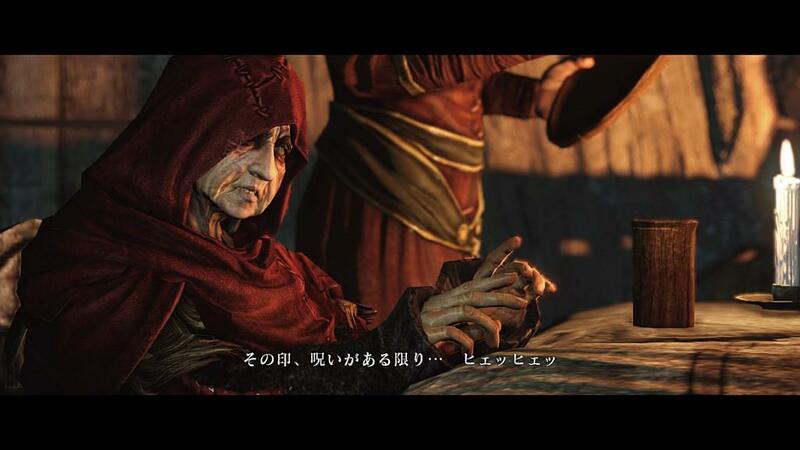 An old woman is prophesying about your future, though most of her words hold know meaning yet. What you do know is that this hut is a bastion. 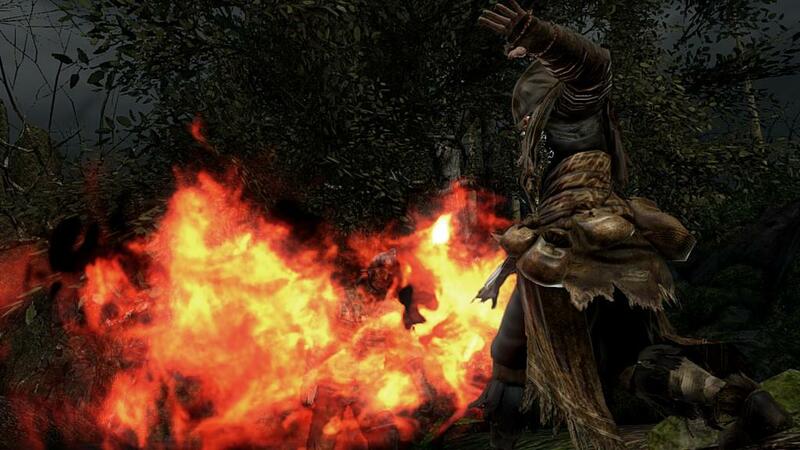 Out the door lies Drangleic, the terrifying and mysterious setting of Dark Souls II. 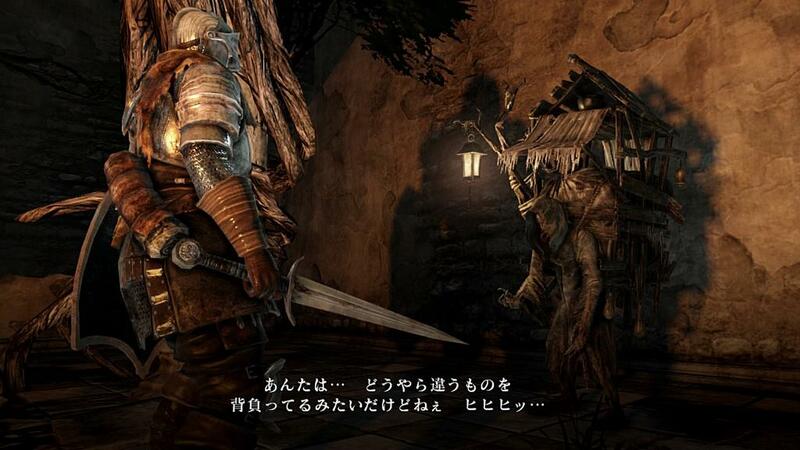 Drangleic is a new land but memories of Dark Souls hang heavily over nearly every corner of the world. But what a great shadow to be in! 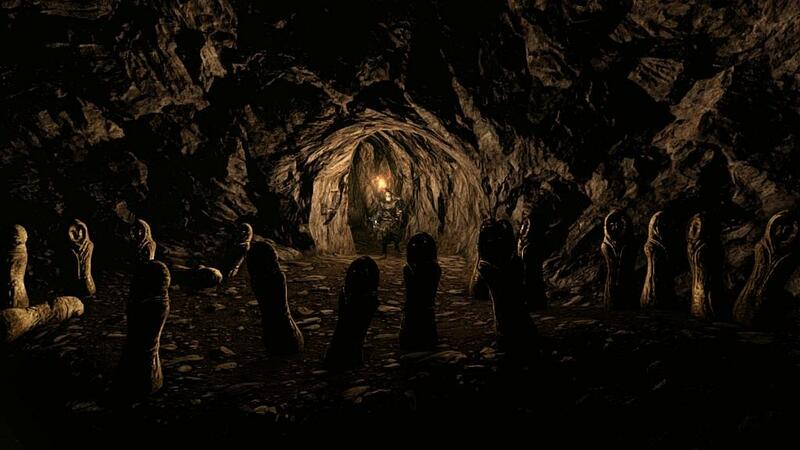 Even with its predecessor's legacy lording over it Dark Souls II manages to be a fantastic game carrying on the Souls series' traditions of cryptic storytelling, exploration, and of course ruthless difficulty. "Long ago in a walled off land to the north a great king built a great kingdom. I believe they called it Drangleic." 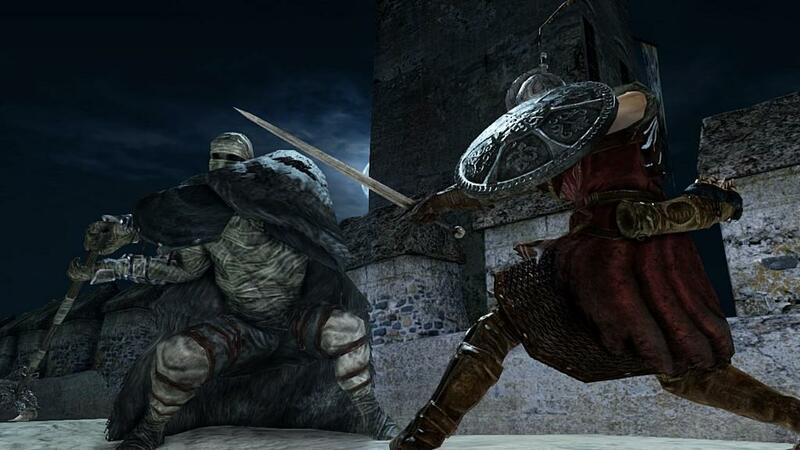 As is custom for Souls games Dark Souls II is light on storyline, but heavy on lore. The firekeepers who introduce you to the world hint at your ultimate goal, but from that point on its up to you to play Drangleic detective if you want to know what is going on. The NPCs and merchants across Drangleic don't only add character to the massive world, but provide you bits of story as well. 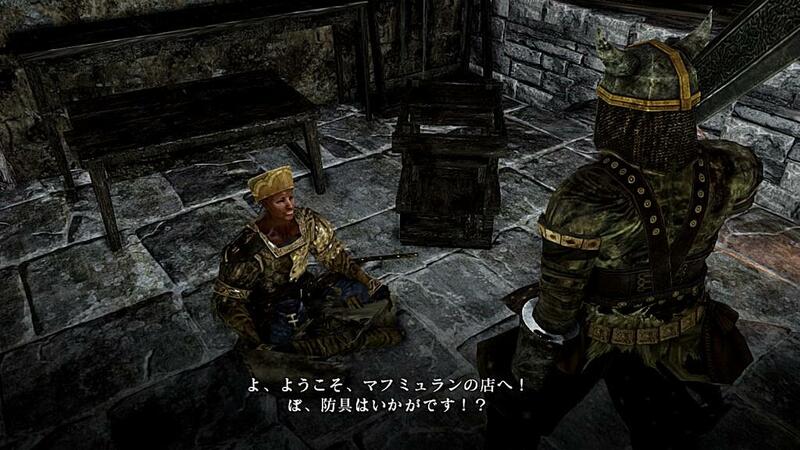 The way NPCs talk about their backgrounds, mention foreign countries, and give opinions on the other inhabitants makes Drangleic feel like a living world. One of the best examples of the living world is the hub town Majula which goes from a ghost town to a bustling refuge as NPCs you meet set up their shops in the town. Travel is less tedious thanks to the ability to warp between any lit bonfires right from the game's outset, and it also makes exploring the huge world much easier. However this change is directly linked to another majorly inconvenient one. Rather than being able to level up at any bonfire in the game you now must level up through the Emerald Herald, Majula's most prominent character. She stands around the towns central bonfire and aids the player in leveling and upgrading their Estus Flasks, the game's healing potions that restock upon resting at a bonfire. You start the game with a single Flask and can increase your stock by finding rare Estus Flask Shards. Forcing the player to travel back to the Herald each time they want to level up feels like a misstep. 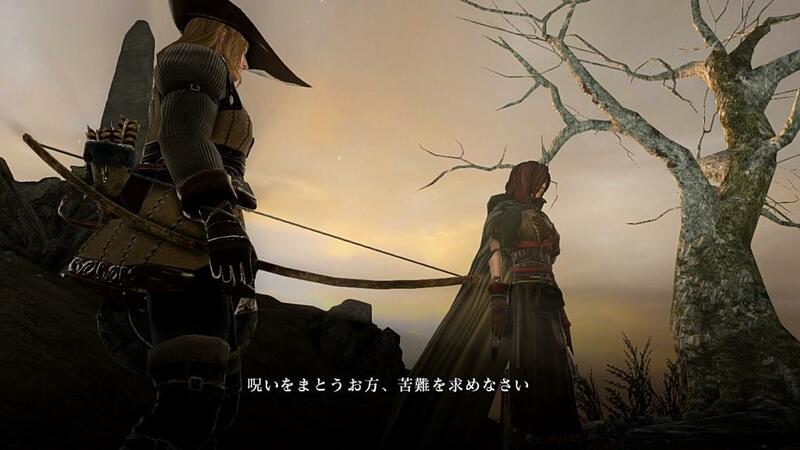 Perhaps the developer intended to create a bond between the player and the Herald, but her repetitive dialogue doesn't help nurture such a relationship. "Like a moth drawn to flame, your wings will burn in anguish. Time after time. For that is your fate. The fate of the cursed." Dark Souls II is best described as an Action RPG, but its tense, methodical combat system almost warrants a strategy tag as well. No matter what route you take, be it a tanky soldier or powerful sorcerer, you need to carefully plan every encounter before you make your move. Every battle with a new enemy will have you on edge as you slowly learn their patterns, and the huge variety of enemies will constantly keep you on your toes, especially the amazing new bosses. To survive you will not only have to know your enemy, but yourself as well. Every swing of your sword, block of your shield, and dodging roll takes some of your stamina which slowly regenerates between actions. Managing your health, positioning, and stamina all at once can be a daunting task, especially when you are overwhelmed by a relentless boss or enemy ambush. Luckily Dark Souls provides you with just as many ways to counter. There are three types of magic, two kinds of shields, and tons of different weapon types, all of which act differently, inspiring all kinds of different approaches and possibilities. The different weapons and spells require different stats, and most weapons damage scales upward with your stats. Thanks to this feature you could beat the whole game using the same weapon if you wanted, but you will have an easier time if you upgrade as you reach new areas. As you level it is important to have a build in mind which can be a problem for new players who don't know what stats they need. 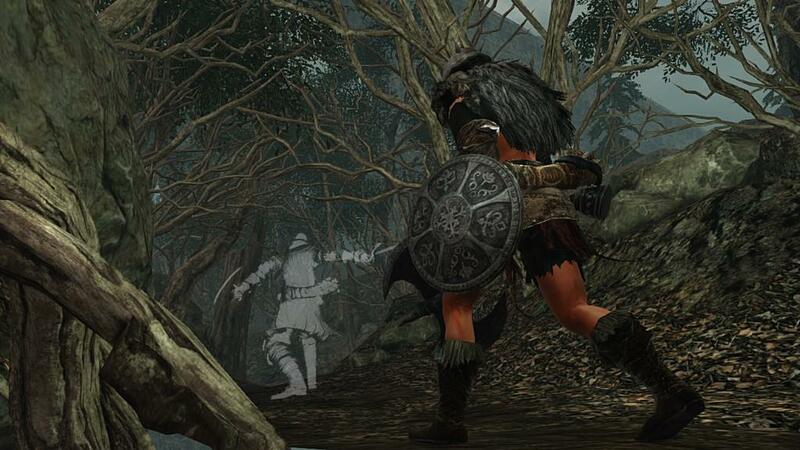 Fortunately Dark Souls II has added a stat reset item that players can find early on, allowing for a second chance. "But remember to hold onto your souls. You'll lose your souls. All of them. Over and over again." 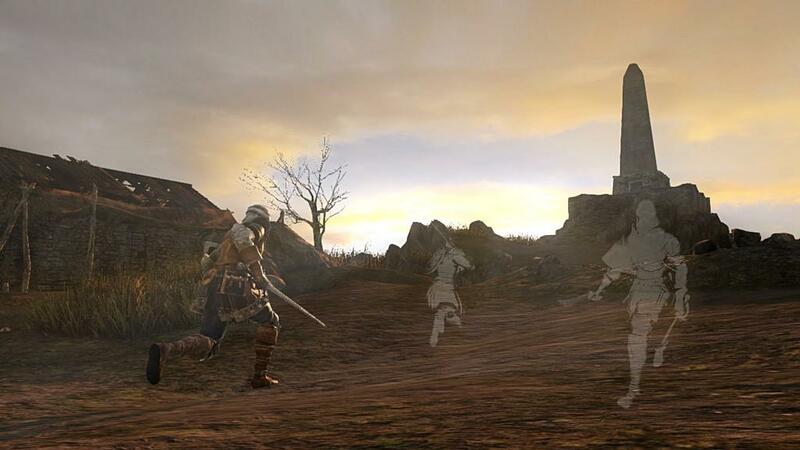 Dark Souls II is a game of repetition and perfection. Every time you die you are returned to the last bonfire you visited, stripped of all your unspent souls. But they not lost, not yet at least. Your souls remain at your place of death, serving as a beacon, tempting you to retrieve them. If you do nothing was lost, an in fact you probably gained more souls since each time you rest at a bonfire the area enemies respawn. This is where the repetition and perfection comes into play. If you find yourself dying over and over in a tough area, but never failing to retrieve your souls, you will come out on the other side a master of that zone with a wealth of souls. These souls are the game's currency, not only for buying goods but leveling up, upgrading gear, and paying for services. Your total souls acquired are tracked on your character screen and this time around summoning and invading of other players is based on that number rather than your level, to prevent low level trolling. Its a smart decision from the outside but I was irked when I discovered I couldn't play with many of my friends because, although we were close in level, I had acquired more souls overall. Luckily once you enter New Game+ summoning returns to being level based. "Perhaps you've seen it, maybe in a dream. A murky forgotten land." From Software seems to be on a mission to prove that rot and ruin can make for a beautiful world, and Dark Souls II is the best case they've made thus far. Drangleic truly feels like a forgotten land, full of weary travelers and ghost towns. Each new location has its own identity, enriched by the enemies and challenges that fill it. You will rarely see overlapping design between two different areas, never giving the player a moment of rest. 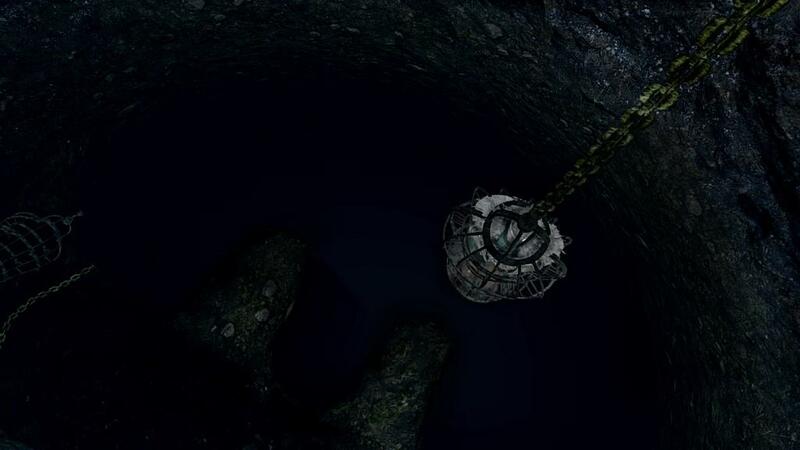 Areas are also full of a seemingly infinite number of secrets, with secret walls and hidden paths. Some can seem impossible to find, but helpful players can leave hints on the ground for others to see making secret hunting a little easier. However, some of the areas are undeniably similar to ones from Dark Souls, leading me to give some regions nicknames like New Blighttown and New Ash Lake. These ares aren't bad, they just don't feel wholly original. Luckily the game also has areas like Shaded Woods, a misty forest full of invisible enemies that is like nothing I remember from the first Dark Souls. 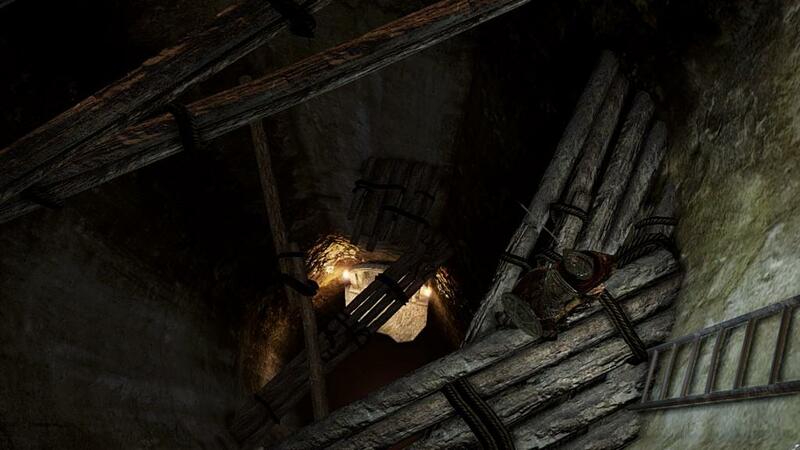 Areas like this offer a unique challenge, but others miss the mark by creating unfair challenges like throwing huge waves of enemies at you at once, or enemies with erratic attack patterns. The cherries on the top of each of these wonderful areas are the bosses, who vary from powerful knights to mythical beasts. Each is a climactic battle, backed by the game's wonderful soundtrack that adds the perfect amount of frantic intensity during these encounters. A few of the bosses are duds, You can face these fights alone or with up to two partners using the summon system. Whenever you turn human (using an important item called a Human Effigy) you can summon players who have laid down their summon signs in your area. They will remain in your game until you die, they die, or the area boss is vanquished. 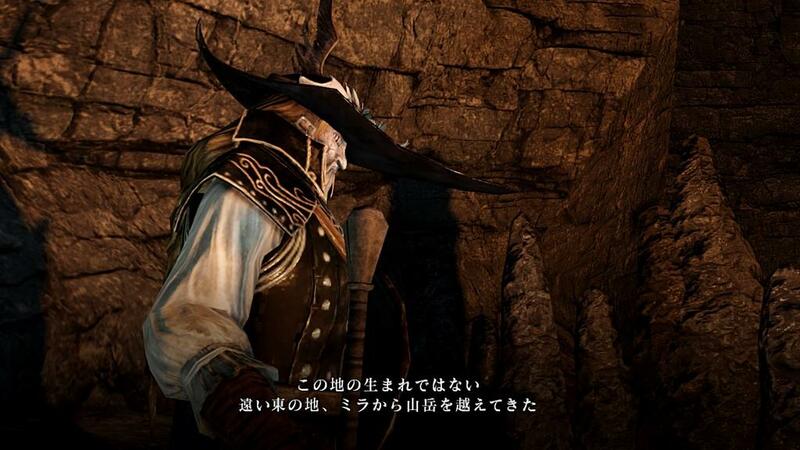 But beware, players can also invade your world any time you are online and attempt to kill you to get your souls. In addition to normal invading Dark Souls II has also added grey spirit summoning which pulls you into another players world against your will. It makes for much more intense PvP, but it can be a major inconvenience when you are invaded at a bad time. "Your past, your future, your very light. None will have meaning and you won't even care. By then you'll be something other than human." Many part of Dark Souls II can't help but be compared to its predecessor, but there are many improvements and additions that set it apart. The game adds new enemies and items to your second journey through the game, giving players a reason to take on the boosted challenge. A new item called Bonfire Ascetics allow you to power up bonfires, making the area around them more difficult and even respawning bosses. There are nine covenants in the game each with their own goals and rewards. Some allow you to access special areas, and others are PvP focused. Systems like weapon and armor upgrading have been simplified, and equipment load has been made more lenient, allowing players to use a wider variety of gear. Lifegems, a new healing item, are dropped by most enemies in the game and are consumables that can be used faster than Estus Flasks, but heal you slowly rather than all at once. All of these things are great additions to the Souls formula, and more importantly they preserve the core mechanics that make this series so great. "Perhaps you're familiar. No how could you be... But one day you will stand before its decrepit gate without really knowing why." Following up a game as well-loved as Dark Souls must have been an intimidating order, but with Dark Souls II the new team at From Software has knocked it out of the park. Despite feeling more like a Dark Souls 2.0 in some places the new ideas that have been implemented are fantastic and I couldn't imagine moving this series forward without them. Only time will tell if Dark Souls II is destined to become as (in)famous as its predecessor, but as far as quality goes its undoubtedly in the same conversation. 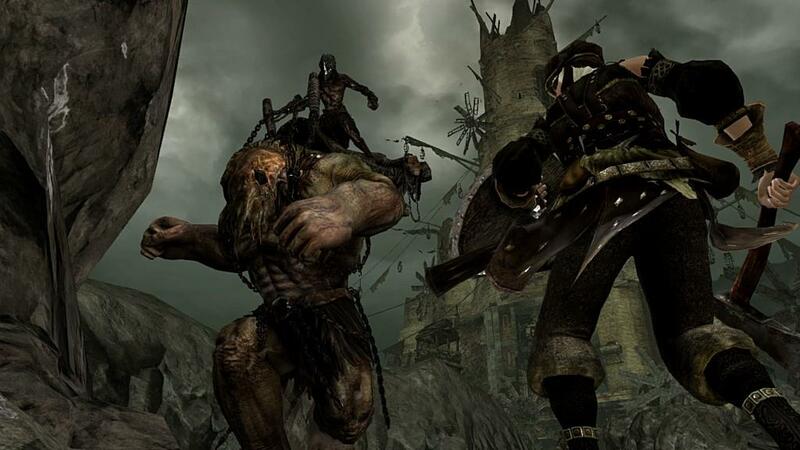 Dark Souls II carries on the Souls series' trend of being one of the most unique, well made, and difficult Action RPGs on the market. 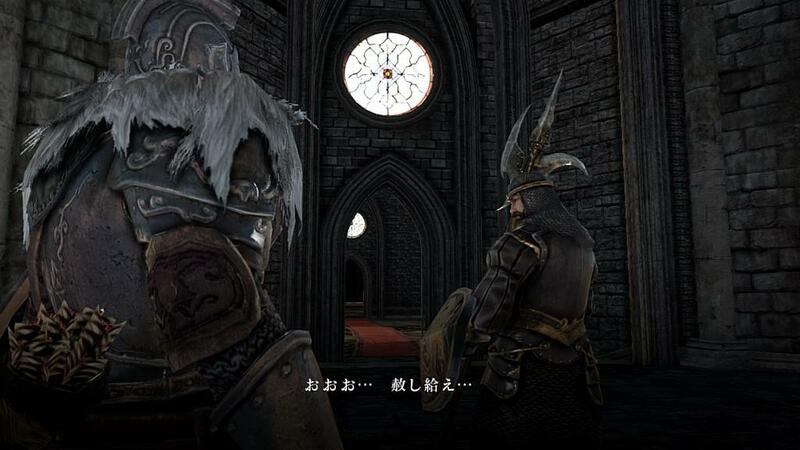 Its a strong sequel that shows Dark Souls wasn't just a fluke, and that this series is here to stay.